MicroStrategy recently held their annual user conference, MicroStrategy World 2019. This year's conference brought 2,100 customer attendees plus partners to the Phoenix Convention Center in Phoenix, AZ. 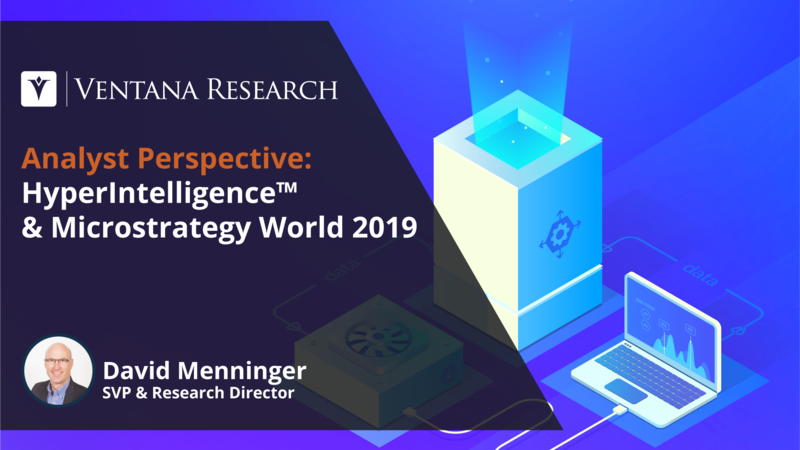 The big news of the event was the introduction of MicroStrategy HyperIntelligence™, a platform tool designed to directly inject analytics into business applications. MicroStrategy, one of the largest independent vendors of business intelligence (BI) software, recently held its annual user conference, which I attended with some of my colleagues and more than 2,000 other attendees. At this year’s event, the company emphasized four key themes: mobility, cloud computing, big data and social media. In this post, I’ll assess what MicroStrategy is doing in each of the first three areas. My colleague, Mark Smith, covered MicroStrategy’s social intelligence efforts in his blog. I’ll also share some opinions on what might be missing from the company’s vision. Last week I attended MicroStrategy World 2011 in Las Vegas, the North American version of the business intelligence (BI) vendor’s annual user conference. The event was well attended, and the company claimed attendance was up 40% over last year. The purpose of the post is to recap the announcements made, highlight the areas where MicroStrategy is making investments and comment on the overall direction implied by these investments.